Release Date:05/04/2018;Notes:Faitiche release a short version of the radio play Zwischen (German for "between"). 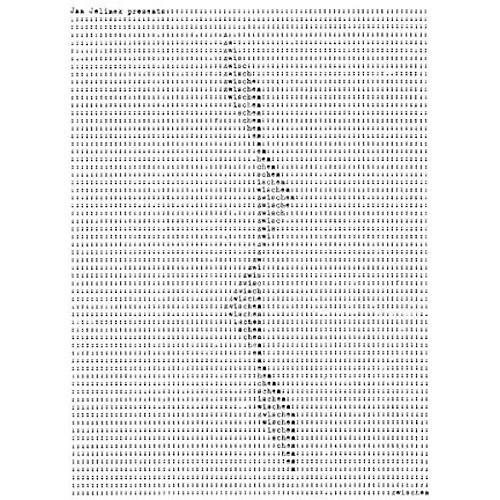 Devised and produced by Jan Jelinek for German public broadcaster SWR2, Zwischen brings together twelve sound poetry collages using interview answers by public figures. Each collage consists of the brief moments between the spoken words: silences, pauses for breath, and hesitations in which the interviewees utter non-semantic sound particles. These voice collages also control a synthesizer, creating electronic sounds that overlay and merge with the voices to make twelve acoustic structures. We all know the speaker's fate: you falter, you mispronounce, there are breaks, silences, and false starts. This results in delays, a language noise compared by Roland Barthes to the knocks made by a malfunctioning motor. Such gaps can be disconcerting, standing as they do for a failure of the speaker's rhetorical skills. But what happens when they become a constitutive, poetic factor? Zwischen consists of twelve answers to twelve questions. The answers were all recorded in interview situations. From the speech of the interviewees - all eloquent public figures - the pauses are extracted and edited together. The result is a series of sound collages of silence. But this silence is deceptive, as it is only meaning that falls silent. What remains audible is an archaic body language: modes of breathing, planning phases, seething word particles in search of sense that can break out into onomatopoeic tumult or drift off into sonorous noise. In a further step, each of the twelve collages controls a modular synthesizer via it's amplitude and frequency. Supposedly defective speech acts conduct synthetic sounds and the speakers regain their composure - not via the spoken word, but through sound. The opening questions in the various interviews are answered by: Alice Schwarzer, John Cage, Hubert Fichte, Slavoj Zizek, Joseph Beuys, Lady Gaga, Ernst Jandl, Karlheinz Stockhausen, Marcel Duchamp, Friederike MayrOcker, Yoko Ono, and Max Ernst. Jelinek extends his thanks to Frank Halbig and SWR2. Includes download code Edition of 500.;Track List:1. Alice Schwarzer Is It True That Yoiu're a Person of Great Tenacity?;2. John Cage I've Been Told to Ask You the Following Question: Where Are You Going?;3. Hubert Fichte Your Journey Through Life Has Been Full of Twists and Turns. Please Tell Us When Were This Journey Began!;4. Slavoj Zizek What Signs Were There of the Imminent Dissolution of Yugoslavia?;5. Joseph Beuys It Was You Who Said "Democracy Is So Big One Can Only Sing About It." You Recently Made Your Debut As a Singer Which Democracy Are You;6. Lady Gaga You Once Said in An Interview That You Write Music for the Fashion Industry Is Fashion As Important to You As Music?;7. Ernst Jandl What Are Your Plans for Language: Revolution Reform Revolt?;8. Karlheinz Stockhausen Which Difficulties Are Involved in Conserving Electronic Music on Magnetic Tape?;9. Marcel Duchamp Would You Like or Expect People to Spin the Wheel on Your Kinetic Object Roue de Bicylette?;10. Friederike Mayrocker When You Write Do You Feel Like the Creator of the Work or More Like a Medium?;11. Yoko Ono You Were Born Into a Rich Aristocratic Family in Tokyo. Do You See That in Yourself?;12. Max Ernst This Is the First Time in Twenty Years That You've Returned to Youur Old Home Town to the Cathedral in Cologne Right?